It's that time of year that not only brings the things I love such as cosy jumpers, log fires and Christmas, but it also brings harsh winds, central heating and freezing temperatures - so basically everything that sends my skin into a tizz. The joys! 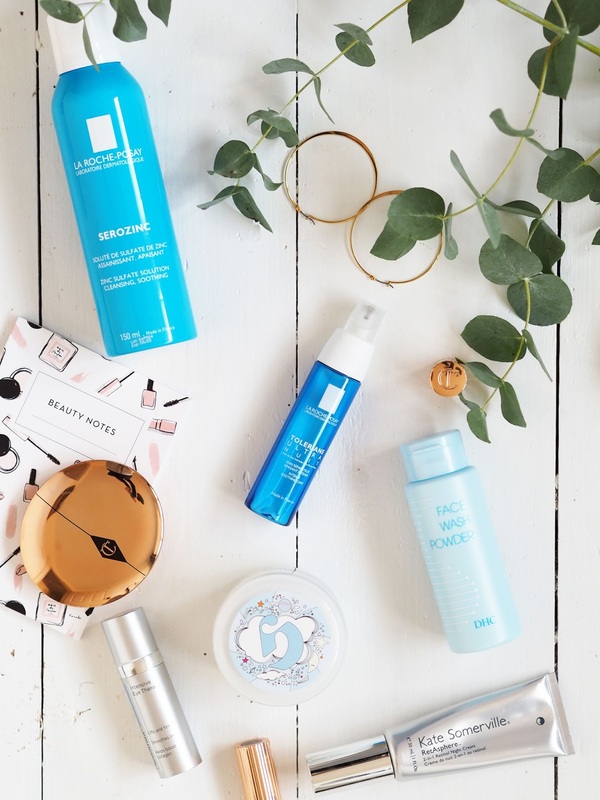 It's around November time that I switch up my skincare to a few more seasonal picks to help keep my skin happy and stop it from having a compete freak out. 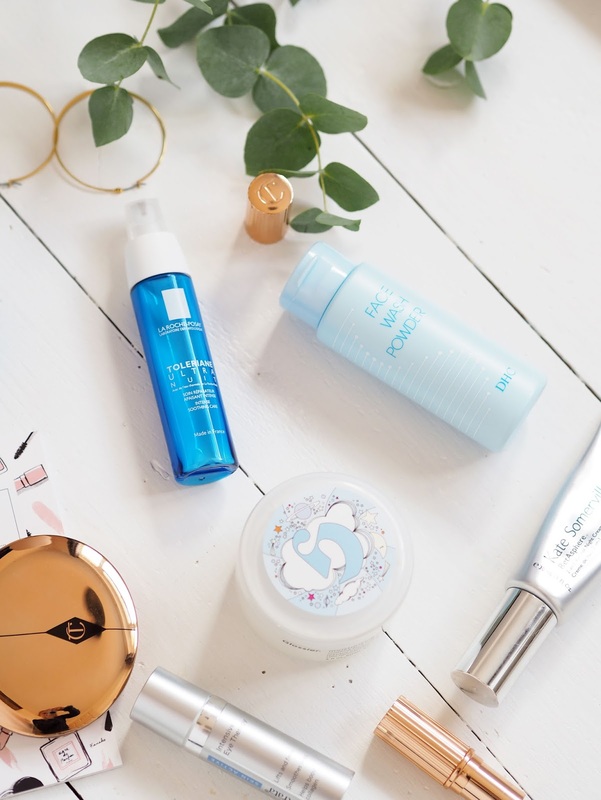 La Roche-Posay has been a longstanding trusted go-to skincare brand for me - the amount of mentions on this blog alone just shows! They just get sensitive skin and I know I can count on their products. The La-Roche Posay Toleriane Ultra Overnight* gets added back into my routine in the colder months every year, as not only is it intensely moisturising but it's also a very light fluid that doesn't suffocate my skin and works well with treatments and serums underneath. Although my skin is quite dry and dehydrated, it doesn't care for heavy creams and will have a complete hissy fit should I go overboard, so this is my perfect night time moisturiser. I just can't get enough of it! 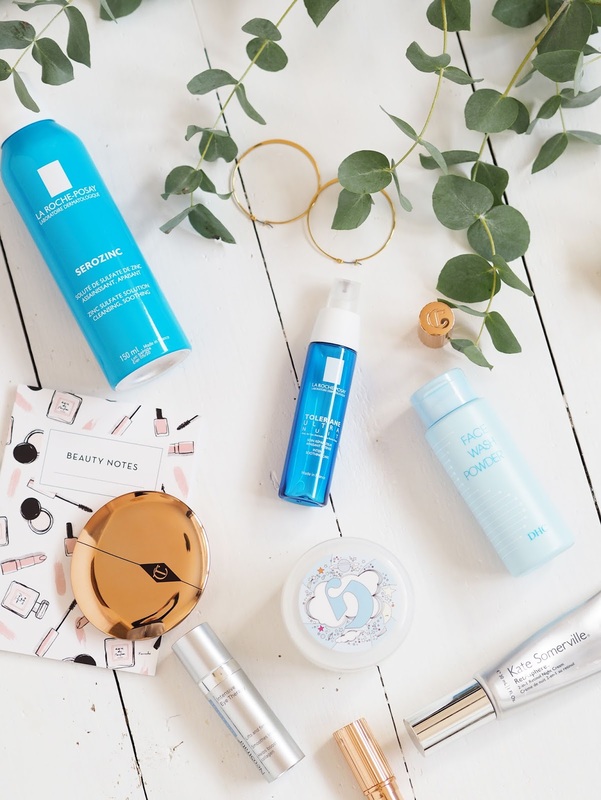 For angry winter skin days when I've been outside for too long or equally sat indoors in the heat for most of the weekend watching Netflix, La Roche-Posay Serozinc is where it's at. A couple of spritzes morning and night help refresh and calm my complexion thanks to thermal water and skin friendly zinc and it is such a pleasure to use. It's even better when layered in between serums and treatments, so I get through a lot of it that way. Back when I had acne this was one of the few products that helped calm breakouts and reduce redness - definitely one to have on hand for skin related SOS moments. Masks make an instant difference to my skin and get whipped once a week without fail. In the colder months when my skin is even more parched I tend to up my mask game to twice a week to get the most out of them. The Glossier Moisturising Moon Mask is a fairly recent discovery but one my skin adores. The light whipped gel texture is instantly cooling and refreshing on the skin which is perfect for when my skin is feeling a bit tender. The mask leaves my skin super soft and plump and also doubles up as an overnight mask if you're in serious need of some moisture. Balm and gel cleansers will always be my evening cleanser choices as they're comforting and moisturising to use. In the winter mornings I'm all about quick, easy and gentle products, such as the DHC Face Wash Powder*. It's oddly satisfying to mix the powder in with a splash of water to activate it into lather, which I might add is really comforting on the skin. Although it lathers up it doesn't strip the skin, but instead uses hyaluronic acid to moisturise. Now I'm fast approaching my mid-thirties (depressing, huh? ), I'm really embracing active formulas and results driven ingredients such as retinol. It's such a key ingredient to my routine but it's one that can cause a lot of irritation if you're not careful. Retinol is a cell communicator which kicks the skin into gear and tells it to regenerate like it used to, resulting in cell turnover which combats fine lines and wrinkles and improves the elasticity and texture of the skin. Many retinol based products can be harsh and can cause your skin to feel angry and flake - definitely not what I want in winter. The Kate Somerville RetAsphere Night Cream is not only very gentle on the skin, but it really makes a difference to it's condition. The retinol is encapsulated in a lipid shell which gradually releases the active ingredient over time so it doesn't irritate. There's also hyaluronic acid in there too for extra hydration which I really need this time of the year. A few weeks of using this two to three nights a week and I can certainly see my skin improving. The pigmentation from acne marks on my cheeks are less noticeable and my lines aren't as noticeable as they were. Its a miracle worker I tell you. The only issue is that Kate Somerville isn't readily available in the UK at the moment, but I have heard rumours that they will be relaunching here in the spring so mark your calendars! Do you switch up your skincare in winter? The post My Winter Skincare Switch Up appeared first on Lelore.